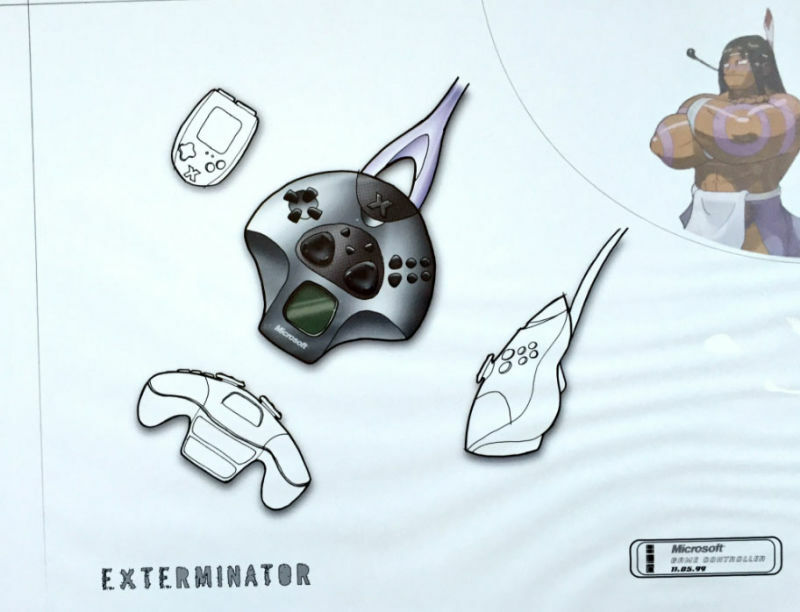 The original Xbox design borrowed heavily from Sega's Dreamcast - in particular, the controller's unique VMU (visual memory unit). 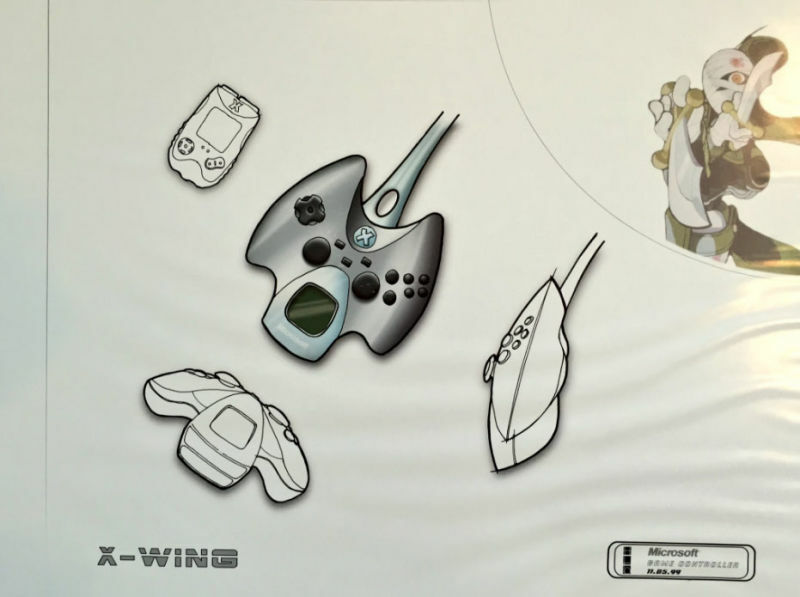 The original Xbox's controller was designed for people with gigantic bear hands. Not being particularly well-received by the gaming public, a slimmed down redesign allowed people with regular-sized hands use the console. 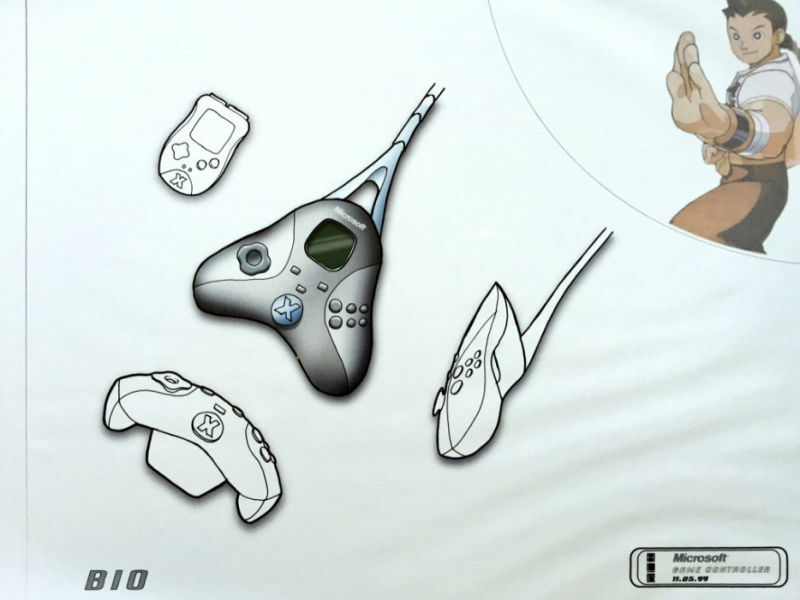 Eventually, the 360 came out and had (and still has) one of the best-designed video game controllers ever (or the worst, if you are a Sony fan). 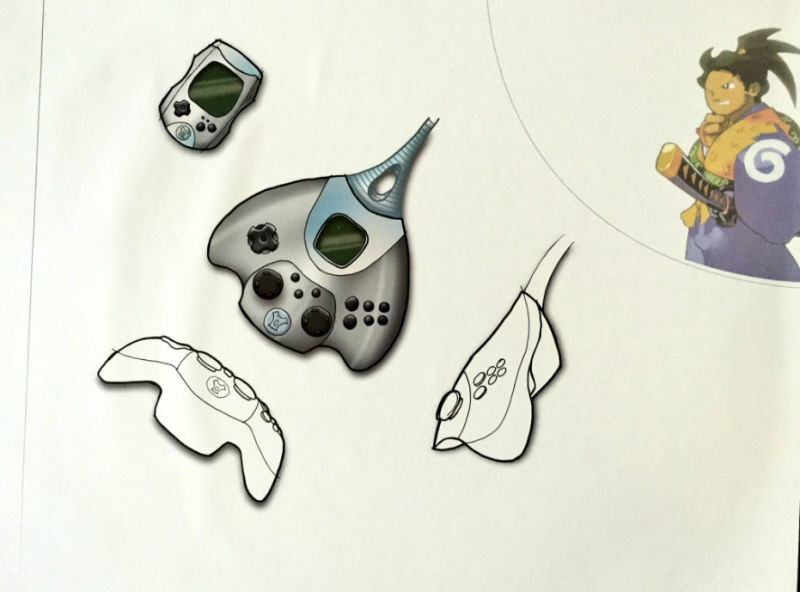 But before we got to that original bear-sized controller, Microsoft went through a lot of iterations, seemingly inspired by the Sega Dreamcast. Pretty interesting, right? I like the "X-wing" design in particular, but honestly, none of the concepts look like they would be particularly comfortable. I feel like all controllers from the N64/Dreamcast era had this big bulky uncomfortable feel about them for some reason.